Sleep your way to great skin with L'Oréal, Nip + Fab, B. Kamins and Avon! 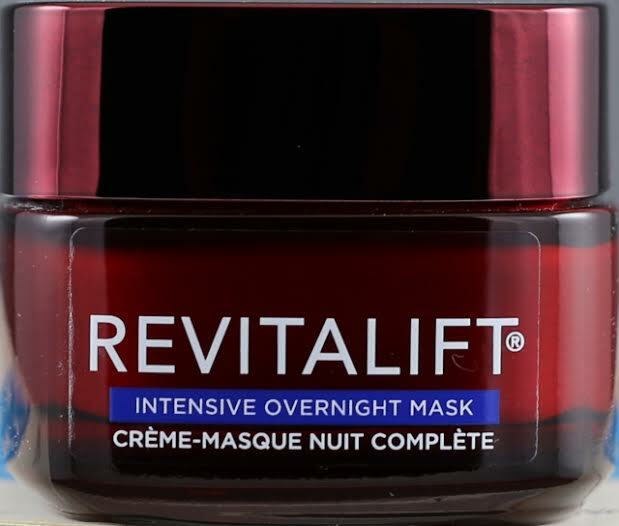 L'Oréal Revitalift Triple Power LZR Intensive Overnight Mask - 50ml - $35.99 -offers the intensive efficacy associated with masks in the luxurious feel o a night cream. With a restorative formula that combines the power of Pro-Xylane, Hyaluronic Acid and Centella Asiatica - a botanical extract known for it's healing properties to address three signs of skin aging: elasticity, contours and wrinkles - with Elasti-Flex texture, a evolutionary polymer complex that forms an invisible mask to cradle the skin - by morning skin looks and feels younger. If you are used to using a night cream that thoroughly absorbs right away you might find this texture weird at first as it leaves a kind of film on the skin, but you won't argue with how soft and smooth your skin will feel in the morning! Available at mass and drug retailers across Canada. Nip + Fab Glycolic Fix Overnight Serum - 30ml - $15.95 - with 4% glycolic acid to improve skin texture and boost collagen production; aloe vera to calm and soothe; and PoreAway to create a smooth matte finish and help you wake up to skin that is soft and refined. B. Kamins Nighttime Oil-Control Lotion - 50ml - $49 - this oil free lotion is smooth and light like a serum while still being ultra-hydating and designed for congested, acne-prone skin. Used nightly and over time, it helps reduce pore size and control sebum production thanks to its blend of salicylic acid and oligopeptide-10 at 5% - the ingredients work synergistically to fight bacteria deep in the pores. It also contains rice bran extract to hydrate and ferulic and phytic acids for the antioxidant activity that particularly targets pigmented acne scars. Avon Anew Ultimate 7S Night Cream - 50ml - $39 - with a new softer scent and lighter formula, it's designed to boost all 7 essential youth proteins to help reduce the appearance of deep wrinkles and age spots and help skin look dramatically firmer in just 4 weeks.